When Vern Cotter's promising Scotland side run out against France at the Stade de France on Saturday, they will do so attempting to achieve something their compatriots have failed to do since the turn of the millennium - win in Paris. 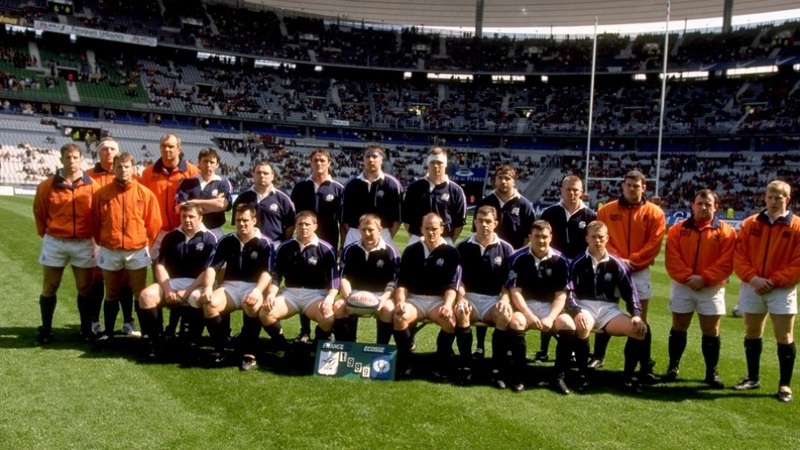 No Scottish XV has emerged victorious from the Parisian cauldron since 1999, when Jim Telfer's men laid waste to the French capital in a fascinating game of contrasts. Victory at France's newly-opened national stadium put Scotland into a championship-winning position, with England's defeat by Wales a day later handing the Dark Blues the last ever Five Nations title. While Scottish fans will not appreciate the reminder, that championship was the country's first in almost a decade and their last to the present day. 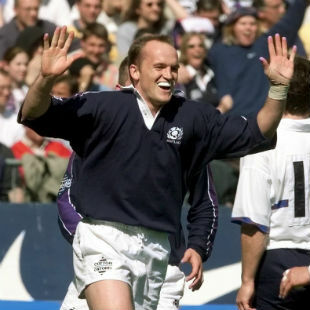 Not since that balmy afternoon on April 10, 1999 has the Stade de France, or any other international stadium, played host to such a potent Scotland side. ESPN talks to the men who were involved in that famous victory 16 years ago. Fly-half Gregor Townsend, fullback Glenn Metcalfe and head coach Telfer recall their parts in 80 minutes of gripping rugby. France started explosively, with Emile Ntamack scoring a try in the opening minute after a 50-metre break from the excellent Thomas Castaignede. Moments later, the French No.10 would be off the field with a serious knee injury, and Scotland took full advantage. The visitors scored five tries in a blockbuster first half - two apiece for Martin Leslie and Alan Tait, and one for Gregor Townsend. The second-half was a more sedate affair, with just three points scored by Scotland, but the damage had been done in the first 40 minutes. Townsend: Playing France was always unique in the Five Nations. There was a different atmosphere than at other games. For Scotland, it was a place where we didn't win very often. We won in '95, which was the first time in 26 years, so by '99 we'd only had one win in 30 years in Paris. 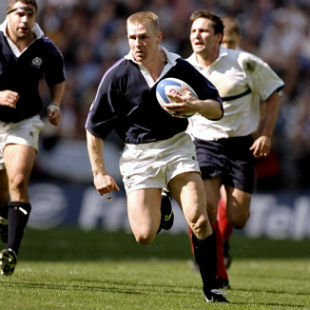 There was that thrill of going to play France knowing how daunting a fixture it was. Telfer: It was the last game of the championship for us and England were playing Wales the following day. You never go to France with full confidence because you don't know how they are going to react to the game and crowd and so on, but we'd had a very good season up until then. We'd only been beaten by England (24-21 at Twickenham) and we were getting better and better, building more and more confidence. Metcalfe: The season had been building pretty well from the start. Guys like John Leslie, Alan Tait and Gregor, those three in the backs had started hitting form really early on. And then we had a whole unity of everyone coming together at the right time. It started building from the first game against Wales. We won every game bar the one against England, so we felt we were competitive for sure. But at that point winning the Five Nations championship was not at the forefront of our minds. We still had to go and play France in Paris. Townsend: France scored within a minute or two, just after kick-off. That forced us to go 'right, we're here to play'. It could have turned out to be a cagey game if there hadn't been any scores in the first 20 minutes. Metcalfe: We got hit pretty hard from the kick-off so it was a case of regroup and have another go once we got the ball - because we didn't even get the ball in those first few minutes. The first lineout we had in a reasonable position, we broke up the middle of the field, which led to a try. With that, the momentum shifted pretty quick. For the next 35 minutes it never went back to France. Telfer: We knew it was going to be hard but they lost their talisman Thomas Castaignede early on - he was carried off in the first five minutes. That had a tremendous effect on them rather than us. Townsend: You hear individual sportsmen talk about being 'in the zone', but that was the only time where I felt in the zone with a team. We wished that half could last 80 minutes, because we were just moving, offloading the ball, and playing at pace, and everyone understood collectively that we were here to play. Telfer: It was the only game I can remember being involved in at international level where we wanted the game to finish at half-time. By the second-half, we'd already scored 30 points, and just wanted that game over as quickly as possible. Metcalfe: I don't think we envisaged being in that position, if I'm honest, at half-time against France in Paris. So we were thinking, 'we're here, but we've still go 40 minutes of rugby to go'. I know Jim would not have let us get away with having it in our heads that we'd cracked it. Townsend: At half-time, players were trying to cool down and they had towels around the backs of their heads. There was a real buzz amongst the players, but I've never seen a coaching group so excited. I don't think they could ever imagine a scoreline where we had five tries in the first half against France. Metcalfe: I certainly think we would have been excited too if we'd had a chance to catch our breath! Telfer: It seems like an obvious thing to do but you have to bring the boys back down to earth and say, 'we're starting the game afresh, they'll come back at us'. The players knew they'd played very well, but there were still 40 minutes to go. No doubt they [France] tried to resurrect what they were doing for the second half, but we were always going to win because France just didn't have the ammunition and the firepower at that time to beat us. Townsend: There was a lull in the second-half certainly in terms of the attack - so much energy had been put into that first-half and France seemed a bit shell-shocked. But not to concede a point in the second-half was testament to the way we defended. Telfer: It was a very poor second-half from both teams. Telfer: I didn't expect us to be champions. I thought England would win - they were playing Wales at Wembley the following day. We were very jubilant about winning the match, but there wasn't a great celebration other than to mark our win. Townsend: We enjoyed ourselves, then the team went back to Scotland but I got on a train to Brive with Stuart Grimes. We were, shall we say, very tired after the night before, but we got back mid-afternoon and had a chance of a siesta. When the game [England v Wales] kicked off, I was waking up Stuart saying 'well, come on, you never know', and he said 'oh no, England are going to win it so I'm going to go back to sleep'. I did persuade him to watch it and the game itself was terrific. Wales were always behind but they kept within six points throughout the game, then Scott Gibbs scored that try. There were a few celebrations in Brive - we popped champagne off the balcony on the Sunday afternoon. I don't think the locals had any idea what was happening. Metcalfe: We'd won the game, but it didn't enter my mind as to what the outcome would be the next day. In fact, I was thinking England were going to be too strong for Wales. 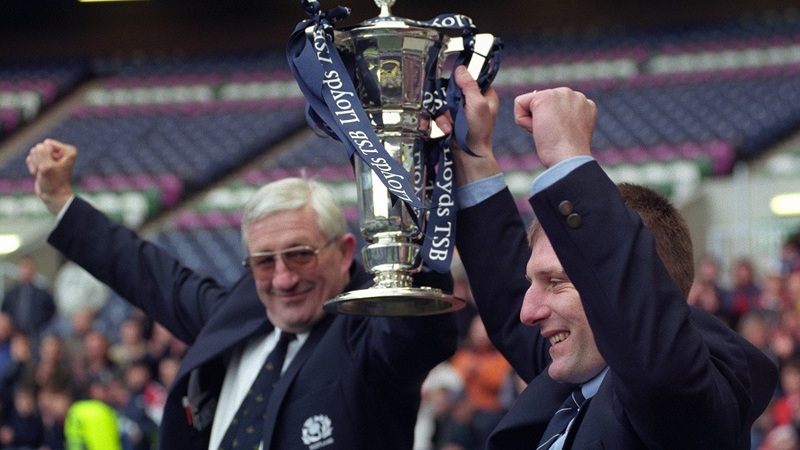 While Townsend and Metcalfe could not join in the celebrations, thousands turned out at Murrayfield two days later to see their heroes lift the Five Nations trophy. Boosted by their success, Scotland went into the 1999 World Cup - hosted in Europe - full of confidence. An opening defeat by South Africa was compounded by a bad injury to talisman John Leslie, but Telfer's men would bounce back to defeat Uruguay, Spain and Samoa. Those victories set up a quarter-final with the All Blacks, who eventually ran out 30-18 winners. It was a funny time for me because I was actually flying out to New Zealand - I was getting married the next week. I left the team really early the next day because I had to get a connecting flight from Paris to London and then out to Auckland, so I had all day in the airport at Heathrow. I was milling about and ended up meeting Andy Reid, who was flying back during the morning. I went back to his place, close to Heathrow, but he and his wife actually left to go for a walk and I was sitting there watching the game by myself. Long story short, we get to the end of the game and it's close. I'm going in my head 'I think we've done this'. But I had no one to celebrate with. Andy came back in and we were jumping through the roof. He had to drive me back to the airport. I was actually man of the match in the game before, on the back page of a couple of the papers and I had no one to share it with. I did manage to meet Kenny Logan, who was flying back up to Scotland, so I had half an hour with him to have a drink, but then I had the long haul back to New Zealand, just beside myself, jumping with joy. Telfer: I'm still surprised England didn't beat Wales. History can be made by little decisions here and there. No one would have remembered us if we'd ended up second in the championship in 1999. But because it was the last one and because we'd won it - it stands out as something special.